Through specialist teaching and relevant, practical experience, we’ll equip you for a shining career, whatever your chosen field. It’s why we’re University of the Year for Graduate Employment (The Sunday Times Good University Guide 2018 and 2019). I walked around the campus and got such a good feeling about it – I knew immediately that I wanted to study there. To accept your offer, use UCAS Track. If your offer is unconditional, you have already satisfied all of our entry requirements and we do not require you to obtain further academic qualifications. If we have made you a conditional offer, we require you to meet conditions, usually certain grades in your tests or exams. Once you have met these conditions your offer will become unconditional. To find out more, visit the UCAS replying to offers page. We offer the opportunity to undertake placements, internships or work experience while studying. Our courses are career-focused and alongside mentoring, we offer the opportunity to undertake placements, internships or work experience. Before and after graduation our Employability Service will support you in finding a job, interview techniques and more. For more on what makes us great, see why choose LSBU? As an LSBU student, you'll prosper from a wealth of advice and support, whatever your needs are. Our Student Services offer guidance, help with information on funding and scholarships, support during stressful times, and more. To see the breadth of our support, visit our student services page. If you have a disability or specific learning difficulty, please contact Disability Services so we can provide for you from the moment your course begins. We provide accommodation for a range of budgets and lifestyles. Read more about our University residences and how to apply for accommodation. If you're a Home or EU student, find out more about applying for a student loan through Student Finance England on our fees and funding page. We have specific guidance for international students on our international pages. If you have applied to LSBU via UCAS, the quickest and easiest way of updating your contact information is to use your personal UCAS Track account. The University and UCAS systems are synced, so your details will be passed over to the University. If you haven't applied through UCAS please contact the Admissions Team to update your contact information. 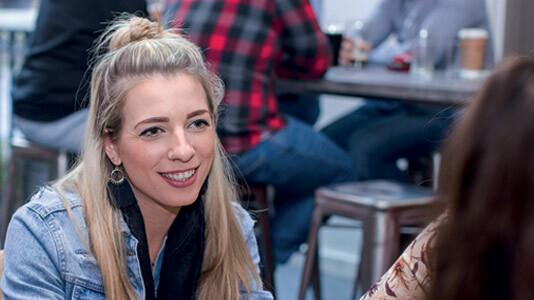 We run a series of events to help prepare you for the start of your studies. Find out more on our subject events page. You might also want to look at the University's key dates for the academic year. You can find out more information on what's in store for you in your first few weeks on our welcome week pages.